A child’s social competence is most simply defined as their ability to play while keeping friends. If the other kids are happy when your child shows up, they want to continue playing with them and the play tends to go well most of the time then their social skills are likely developing at least fairly well. If other kids shun them, stop playing often and the play breaks down repeatedly then their social skills may be an issue. The idea is to watch the child in play, and look for patterns that cause the difficulties. Ask his teachers and other caregivers for their input about his play. Across the preschool years notable social skills include turn taking and later, sharing, listening to others, carrying small then more complex conversations, shifting from parallel to interactive to group play, later building play scenarios and entering into on-going play. In elementary school, personal space issues, negotiation skills, conflict resolution skills, managing competition, perspective taking and empathy for others all become increasingly important. If you have questions about social skills, please join me on facebook for a parenting chat every Tuesday night from 10:00 – 11:00 p.m. EST. Asking hypotheticals to teach social skills means asking children open-ended questions and discussing answers based on their scenarios. In our house, we call this the “what if” game. You might also go for the best answers from the start by rephrasing, “what would be a good thing to do when….” Either way, you might end the conversation by finding three better ways to answer. This might take some input on your part. The idea is to get the child thinking about their behaviors when all is well and finding better ways to make choices when their triggers are present. To learn more about this and other ways to teach social skills, you might listen to my free online workshop about Teaching Children Social Skills at http://parentingplaygroups.com/MemberResources/index.php/welcome/ and clicking Listen to a Free Workshop. My two-and-a-half-year-old is going through a lot of the typical two year old stuff. He has a growing imagination, talks lots, tests boundaries and is experiencing new fears. I am taking this all in stride, but I do find myself thinking that he doesn’t seem very resilient. He seems so sensitive to small pains, slights and annoyances. He is also pretty tuned in to loud noises, new tastes and textures. I don’t expect him to manage on his own or become resilient overnight, but I’d love tips on how to help him better weather the little upsets. Thanks for the question. It’s a big one. There are many ways to help build resiliency across childhood. I apologize for this list, most of the bullet points represent what should be a whole book of content. For now, give lots of empathy and teach problem solving at every turn. When you can, focus on problem solving in the moment. If he is too upset, remember to go back later and discuss or brainstorm what could have happened for a better outcome. Model and Encourage Optomism – If you are an optomistic person, this is an easy one. Unfortunately, if you are a pessimist, this can be near impossible. The idea is to model looking on the bright side, focusing on solutions and having faith things can be resolved. Use Descriptive and Avoid Evaluative Praise – Evaluative praise to avoid sounds like, “good job,” “you are such a good boy,” “that was great,” “thank you so much,” “I really like that,” “I like the way you…,” and, “I am so proud of you.” Descriptive praise to use sounds like, “you handed a block, that was helpful,” and, “you waited while mommy was speaking, that was patient.” This means to describe the behavior, and then give it a related label. Focus Your Discipline on the Behavior NOT the Child – This means using ‘I messages’ and avoiding ‘you messages’ as you enter into a discipline exchange. When a child runs through the living room and knocks over your lamp, it’s saying “I’m angry, my lamp is broken,” or, “I’m frustrated, people are running in the house.” It’s avoiding, “I am mad at you, you broke my lamp,” or, “I’m frustrated, you always run in the house.” I messages label emotions and blame the behavior or the situation not the child. Learn Scaffolding – Scaffolding is the language of problem solving. When you help a four-year-old with a new puzzle, or a fourth grader working on hard math, your language and approach is your scaffolding. There is a review of effective scaffolding guidelines in this previous post: https://parentingbydrrene.wordpress.com/?s=scaffolding. Avoid Rescuing – This is a difficult one to practice when your child is a toddler, but it’s important to keep in mind as they grow. If they steal a trinket from a store, have them return it rather than doing it for them. If they purposefully break a toy, avoid replacing it. Teach Decision Making and Offer Choices – Allowing greater decision making is a gradual process. At two years old they might decide what snack to have, at four years old what toy to buy, at six years old what clothes to wear, at eight years old what sports to play and at ten years old what instrument to learn. Of course, you are providing guidance as needed, but focus on teaching them how to make decisions rather than making decisions for them. Positive Attitude Towards Learning and School – The idea is to build a “home-school connection,” so the child grows up feeling my parents value my school, and my school welcomes my parents. Read to them everyday, know what they are learning about in school and participate as a room mom and in extracurricular activities. Check their homework, teach them to study and meet their teachers. 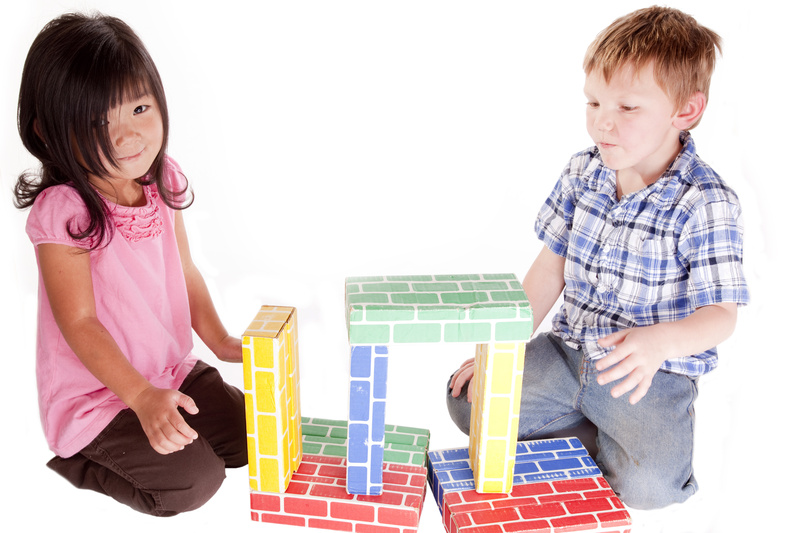 Check and Build Social Skills – A child’s sense of social connectedness and acceptance from others is a big part of their developing self esteem which overlaps strongly with resiliency. In childhood, social competence is defined loosely as the ability to play while keeping friends. If play isn’t going well on a regular basis for your child, step back and check their social skills. Work together to improve as needed. This includes their conflict resolution skills. Friends also provide a social network to cushion the blows of life. Focus On and Develop Talents – A second foundation of self esteem is a child’s growing sense of skills and abilities. Look for their strengths and provide opportunities to build their talents. Provide Downtime – The American Academy of Pediatrics suggests children have a minimum of an hour of downtime everyday. Downtime is truely unstructured, go play time. This can be with other children as long as it’s by choice and child led. Sense of Faith or Spirituality – Not one better than another, but children raised with a sense of faith or spirituality tend to be more resilient in the face of life stressors. As a side note, your descriptions, “he seems so sensitive to small pains, slights and annoyances. He is also pretty tuned in to loud noises, new tastes and textures,” lend themselves to possible sensory concerns. This could easily be well within normal limits and not an issue. If this continues to be the pattern or seems worse overtime, you might read The Out of Sync Child by Kranowitz, or take a consultation with a pediatric occupational therapist. Either will also give you additional ideas about resiliency more related to sensory processing. Please let me know if you have additional questions about this. My son is almost three years old. He is very verbal and cognitive, but seems overwhelmed easily in playgroups. If we are at playgrounds and there are three or more kids nearby, he wants to leave. If an indoor group is loud, or children are misbehaving, he gets extremely upset. He manages better when play is with just one other child, but even that often ends in tears. He hates to leave the house, he says, “let’s just stay home,” even when it’s a place he loves to go. He dislikes other children or adults touching him. He is also an only child and takes after me. While I try not to show it, I don’t like crowds and don’t care for other children being rowdy. Do I continue to put him in these stressful situations? I think there is a best answer in the middle. Yes, continue to leave the house and continue to schedule playdates. Leave the house for more low-key activities, think play at the park rather than busy gym class. Plan one-on-one playdates with kids that tend to play well rather than playdates with several children at the same time. One-on-one actually tends to be better for play skills, and there’s no real downside relative to bigger groups. Managing group play becomes more important as he is a bit older. When things get to busy or loud, give a lot of empathy and step out for a time. When others misbehave, if he is not directly involved, distract him away when you can. If there’s no distraction, talk him through it and let him see the resolution. If he is directly involved, think empathy and wait for the calm. Talk through on the quiet, calm side. Pulling too far back means no playdates and you never leave the house. Both are important towards social development, but you want to aim for things that may be successful. Just diving in to big groups means he will struggle through and enjoy social less. Aim for the middle. At any age, if your child is not yet good at turn taking, it can be helpful to role play the process. This means to approach them when they are playing alone and happy at, say, the train table. Pick up the blue train that is not being used and say something like, “wow! The blue train. I love this train, it’s the best train on the table.” Then play with it. If the child wants it or even just looks up, say something like, “oh, you’d like a turn. Sure, I’ll be done with my turn in just a minute, and I’ll be sure to give it to you.” Then feel a little silly while you play with the train. Soon say, “I am done with my turn now. Here, you can have a turn with the blue train. Please remember that I want the next turn when you are done with it.” If they remember to give it back when they finish, gush a little. Say, “you remembered I was waiting, that was kind. Thank you for giving a turn.” If they forget, just gently remind, “hey, can I have the blue train back in my hand? I was waiting for another turn,” and gush when they give it, “you are giving me a turn, thanks!” Do this a few times a week and the child is gradualy learning the language and process of turn taking when it isn’t a fight or high emotions. I learned so much at our recent panel discussion on types of preschools, and am excited to share this with you. Each year we invite speakers from a variety of area preschools to speak about their philosophy and the importance of their approach. Each also talks a bit about what happens in the typical day of a child at their school. I’ve included a few highlights as well as contact information from the various programs. Think: education through nature. If you have an appreciation for the outdoors, Discovery Woods provides a perfect environment for children to learn literacy, math, social studies and science through an outdoor curriculum. Their indoor program provides inquiry based learning with teacher-child negotiated projects while their outdoor program encourages a deep study of the local environment. An overall goal is to build early learning habits and dispositions to create a life-long learner. This school provides a play-based program that nurtures the the whole child and looks at individual progress. Over the preschool years they introduce academics in engaging, play-based ways. There is a strong focus on daily life and social skills. I am partial to Country Day, I enjoyed being a teacher and then a a parent there. Sleepy Hollow is a cooperative preschool that has a parent run board and parents working in the classrooms to support the classroom teachers. The focus for two year olds is is to help them find a sense of security in their first experience away from home. The threes and fours enjoy a child-interest driven curriculum. Added benefits of cooperative preschools often include a community of like minded parents and a chance to make lasting friendships as parents spend so much time working together. Montessori is known for providing rich work materials that support math, language, practical life and sensorial development during independent time. Children work and meet challenges at their own pace. Brooksfield provides this classic montessori experience and adds imaginative play, creative dance and spanish. In a Reggio Emilia inspired preschool, teachers are trained to watch, listen and learn from children to build the cirriculum around the class interests and strengths. Teachers help children to fully explore and expand on their ideas through a project centered approach. Children are also encouraged to work together to enrich the group and individual learning process. There is also a strong focus on open ended art. Waldorf is known for their open-ended all natural materials. They are focused on building a child’s imagination and creativity while laying strong foundation for later academic challenges in the preschool years. The experiential approach builds an intrinsically motivated learner. Columbia Baptist is newly becoming a High Scope program. High Scope strives for hands-on teacher and child initiated activities across five areas including literacy, social and emotional development, physical development, arts and sciences. Teachers observe children across experiences and note their progress through Child Observation Records. The program provides an exciting learning environment to challenge the individual child. Our own Preschool Play is a small, play based program open to children two to four years old. Children participate in open play in the preschool classroom, two art projects, a sing-along, movement game, snack and story time each day. Thank you for the great class on sibling rivalry. My big problem now though is that my one-and-a-half and three-and-a-half year olds are competeing for my attention, expecially physically. If one is sitting on my lap, the other wants to be there too. If I am holding one to comfort their crying, the other will often start crying too wanting to be picked up. If I walk out of the room (where I was sitting with my husband and both children) and one child follows, the other will drop what they are doing and follow too. Is is exhausting physically and emotionally. They do not demand the same of my husband and tend to not want to be with him in these moments. Please help! The idea is to teach the general social skill first. Once the kids have had this practice and coaching, carry that language over to taking turns on your lap or being held. I know it can be difficult to hear their upset while they wait, but there is benefit in learning to wait, have patience and to delay gratification. Do your best to give them empathy, but follow through and finish the turn you are on before moving to the next. In the long term, be sure you and your husband are each getting some individual time with each child at least once a month. This can be as small as going to the grocery store together if the child is getting to help pick items and there is open, pleasant conversation. You might also read Siblings Without Rivalry by Faber and Mazlish that lays out other guidelines to reduce sibling rivalry. We rented Super 8 today. Great movie, even the second time. My husband liked the action, my girls liked the humor and, I think, the excitement of seeing something rated PG-13. What I appreciated and paid more attention to this go around, was how it captured being a kid in the late 70s. Particularly the freedom kids had to ride their bikes through the neighborhood and to be out after dark. I cherish the memories of being with a bunch of other late grade schoolers down by the creek in the woods behind our houses for hours or playing Ghost in the Graveyard after the street lights came on. My husband remembers starting out at his house with a few friends on bikes in the morning and ending up in another nearby town by mid-afternoon. Sadly, this is unheard of today. Believe me, I get the whole safety and supervision thing. I really do. My children are well supervised, don’t leave the house alone and have a sitter if we are going to be away for long stretches. What worries me, though, is we have a 13-year-old who, three years from now will have car keys and suddenly free run of Northern Virginia (and beyond, if she is anything like me at that age). She will have this freedom without the years of practice I had, running between neighborhoods and working to solve the social conflicts without a parent looking directly over my shoulder. Think of the social skills that were developing at the playground or community pool between children, versus what is developing now with the limitations of planned playdates and organized activities. Children need space and time to be and to problem solve and to grow. I’ve only been able to answer this myself in small ways, we let the older kids hang out a good football field away today at a park. Yesterday, they went into a few stores at the mall while I parked myself on a bench just outside. I don’t know the answer here, but struggle with the question often. There are two books that address this issue from very different angles Last Child in the Woods: Saving Our Children from Nature Deficit Disorder by Louv and Free Range Kids: Giving Our Children the Freedom We Had Without Going Nuts with Worry by Skenazy. I think I will put these books back in the to-read pile. >Social Competence is defined as the ability to achieve personal goals while maintaining positive relationships. For children all this jargon means is, can they play while keeping friends. If your child’s play is often ending in upset, aggression or rejection, it is time to look at their social skills. Two year olds should be able to work around each other physically, play without hurting each other and start to manage turn-taking. Three year olds should start to notice other’s emotions, set common goals in play and realize personal space issues. Four year olds should be improving in social entry (getting into on-going play), able to handle sharing and have solid emotion language (at least able to accurately label emotions). If your child is having significant difficulty with social skills, there are several good books such as Raising Your Child’s Social IQ. In many areas, social skills groups are also available both privately (through psychologist, social work, speech/language or OT offices) and publicly through your guidance counselor at their school. Be proactive – Start teaching!